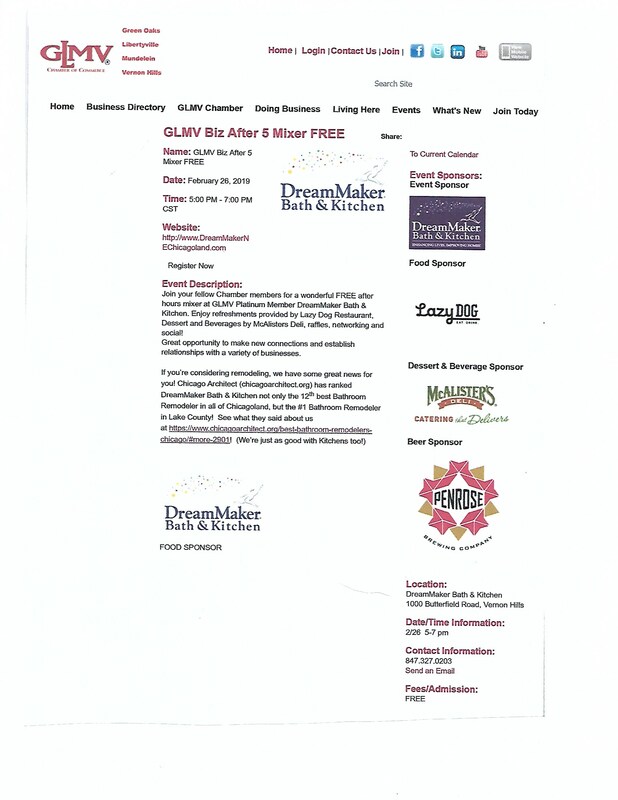 Join your fellow Chamber members for a wonderful FREE after hours mixer at GLMV Platinum Member DreamMaker Bath & Kitchen. Enjoy refreshments provided by Lazy Dog, beverage, raffles, networking and social! Great opportunity to make new connections and establish relationships with a variety of businesses.